and while neither she nor her garden were in top form, there were hopes that she would see the Summer to its finish. She came to America with the great British traditions of gardening and taught all who came to her path. 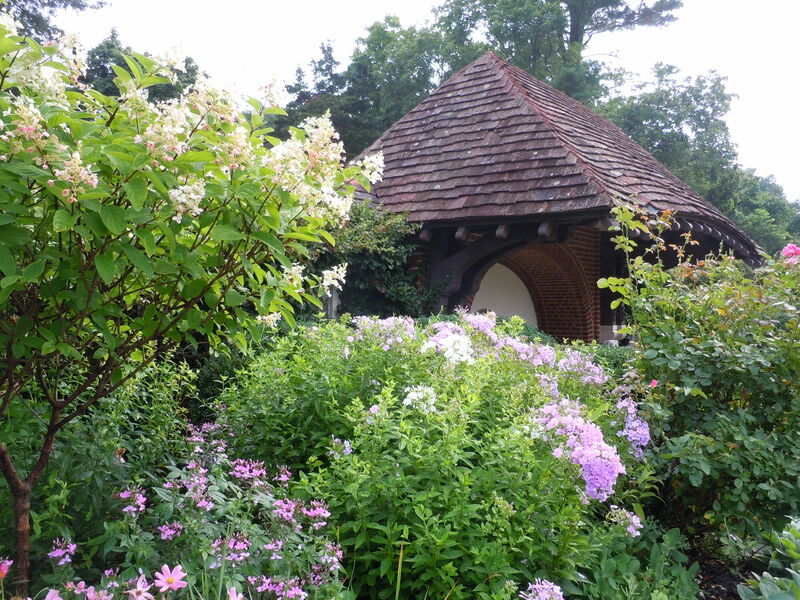 That included volunteers at public gardens such as Lee Gardens and the Waveny Walled Garden, both now listed in the Garden Conservancy Open Days Directory. 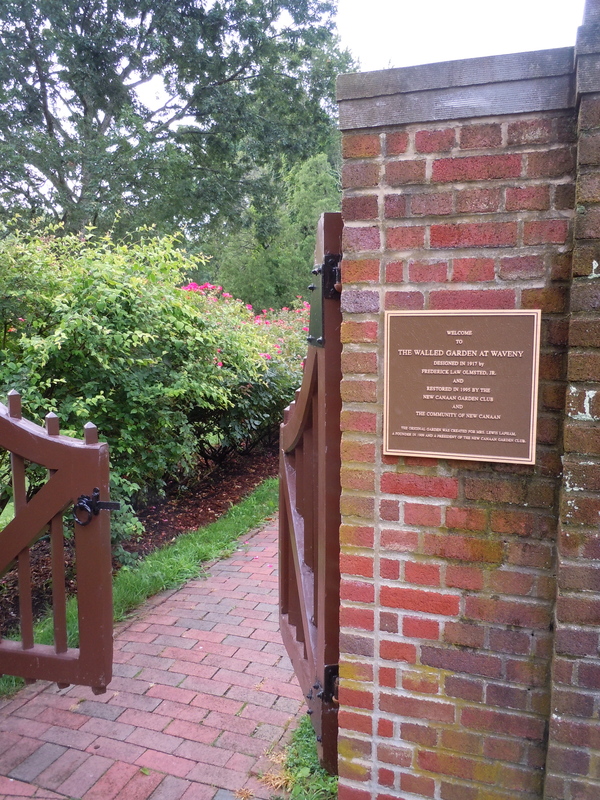 I was honored to work with her on a major restoration of Waveny Walled Garden several years ago, and it was a grand learning experience. The meaning of so long, is a farewell with a hint of meeting again. Though she is, as Whitman alludes, disembodied, I know I shall meet her again in each garden I work and walk. Just this morning as I worked in Waveny Walled garden, I met her; a young robin sat quietly on the stone wall for several moments, we stared, neither moving, awakening rays darting around us! 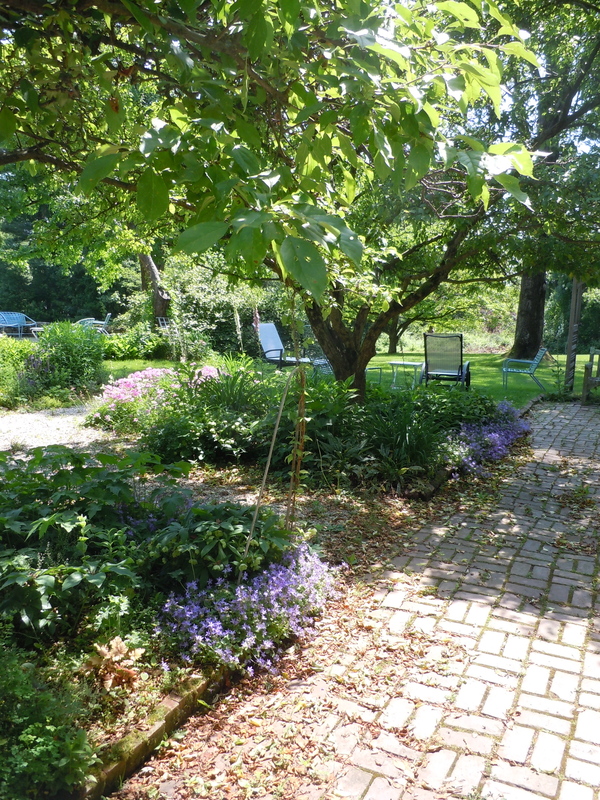 This entry was posted in Uncategorized and tagged garden mentor, Leaves of Grass, tea house, Walt Whitman, Waveny Walled garden. Bookmark the permalink. What’s beautiful tribute to your friend.